Food plots require planning, design and management to be successful. 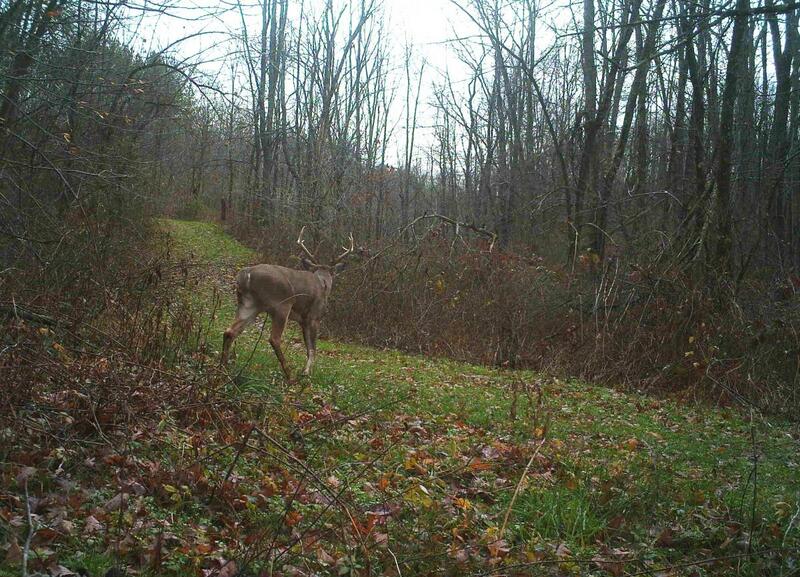 Before investing time, labor and money, you should determine the goals of your food plot. If you enjoy growing things, working with the land and nature, and seeing wildlife thrive, you may generally find installing food plots rewarding. If you install food plots as a main goal to grow and harvest trophy animals, you may soon become frustrated. Food plots alone do not create large antlered, trophy sized white-tailed deer. Genetics and the age structure of bucks in a herd influence antler size more than additional food. Food plots should not be used as a substitute for natural wildlife foods. 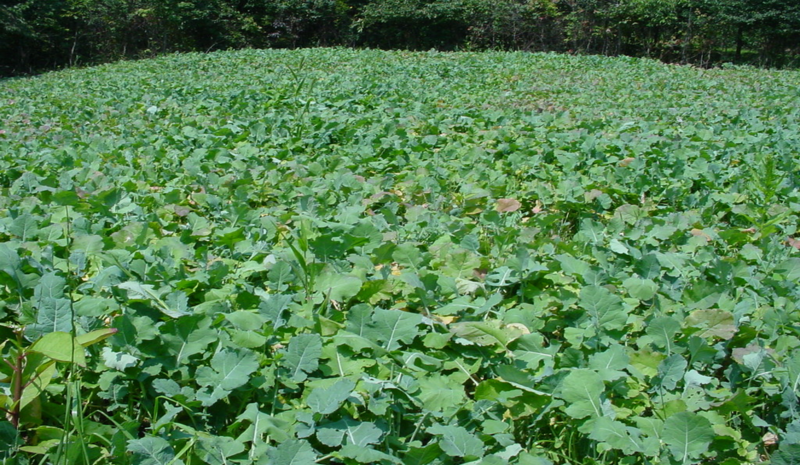 Food plots should only be a small part of a larger management plan for wildlife in your area. Are deer the only species of wildlife you hope to attract? What is the population of those wildlife species already in the area or per square mile? 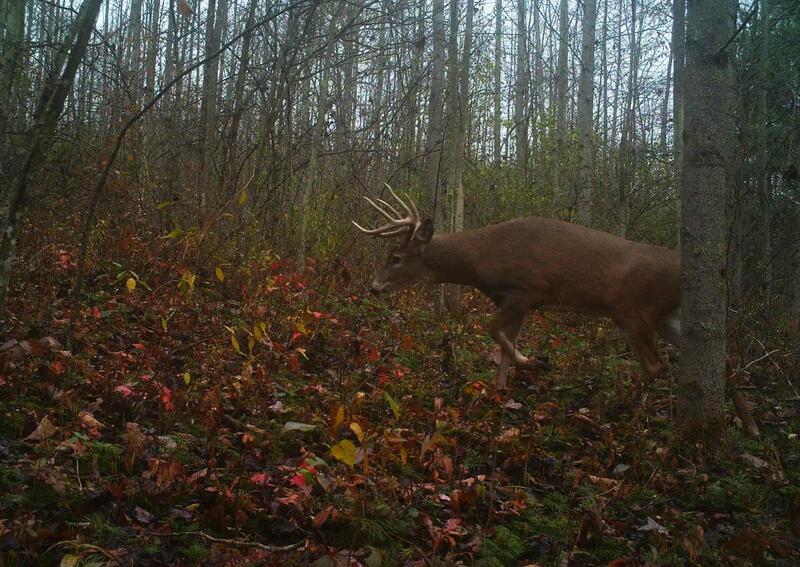 Do you expect to harvest wildlife from hunting or just use the food plots to attract wildlife for viewing? Do you plan to use the food plot to increase the variety of food for area wildlife, or is there already naturally occurring food or agricultural crops available on your property and surrounding areas? Do you need additional equipment to prepare, install and maintain the food plot you plan to establish? How long do you expect to maintain the plot(s)? How much of a time commitment are you willing to make for future years to keep the plot(s) functional? How much money are you willing to spend now and in the future to keep the plot(s) productive? Would your food plots become a conflict if your neighbors are trying to eradicate the wildlife you are trying to attract? Answering these questions will determine the feasibility of attracting the desired wildlife in your area and your ability to invest time, money and effort in creating and managing the food plot. To help you with this process, this fact sheet is the first of three that serves as a guide for creating food plots for wildlife. This fact sheet covers the design, layout and habitat requirements of deer. The second fact sheet focuses on the planting of the food plot, including what and when to plant along with the equipment needed to plant and care for your food plot. The third fact sheet identifies management strategies to care for the food plot for sustainability and environmental health. This first fact sheet will cover basic considerations for designing your food plot. Food plot with purple top turnips. Photo by Clif Little, Ohio State University Extension. Food plot size is dependent on the population of deer and the size of your property. For example, creating a food plot for white-tailed deer where heavy populations currently exist, you may need large, numerous plots to prevent over use, especially if few agricultural crops are nearby. In this situation, plots ranging from 2 to 5 acres or more are recommended to handle heavy pressure and minimize excessive injury to plants in the food plot(s). To help identify areas with heavy pressure and to monitor use, you can create a deer exclosure. A deer exclosure is a small, fenced plot made of wire or plastic materials that prevents deer access to the protected plants. You can monitor the level of browsing, and tell which plants are preferred. For example, if plants such as clover are constantly over-browsed, they will die out in the plot but be present in the exclusion cage, providing a comparison to what would be growing if plants were not over-browsed. If consistent high levels of browsing occur, additional plots or acres would need to be installed so the plant species you want to grow can be maintained in the food plot. How many food plots or what total acreage should you install? The level of management and desired impact you plan to achieve determines this. If you intend to “intensely” managing the area for high quality and quantity of forage, installing food plots on 1 to 1 ½ percent of your property can provide positive impact for deer in a given area. This would be 7 to 10 acres of food plots per square mile (or per 640 acres). With a more “average or normal” management approach, a minimum of 5 percent of the property should be dedicated to have noticeable impact for white-tailed deer. To provide optimum nutrition and benefit, food plots should be evenly distributed across the entire property. A variety of crops may be necessary to provide high quality food year-round. Roadway seeded with annual rye and oats. Photo by Clif Little, Ohio State University Extension. The shape and layout of the food plot also needs to be considered in your goals. Making an opening in a woodland or installing a food plot in an existing opening can change the ecosystem around the perimeter of the opening. This abrupt change on the perimeter, where one habitat type stops and another begins, is called an edge. 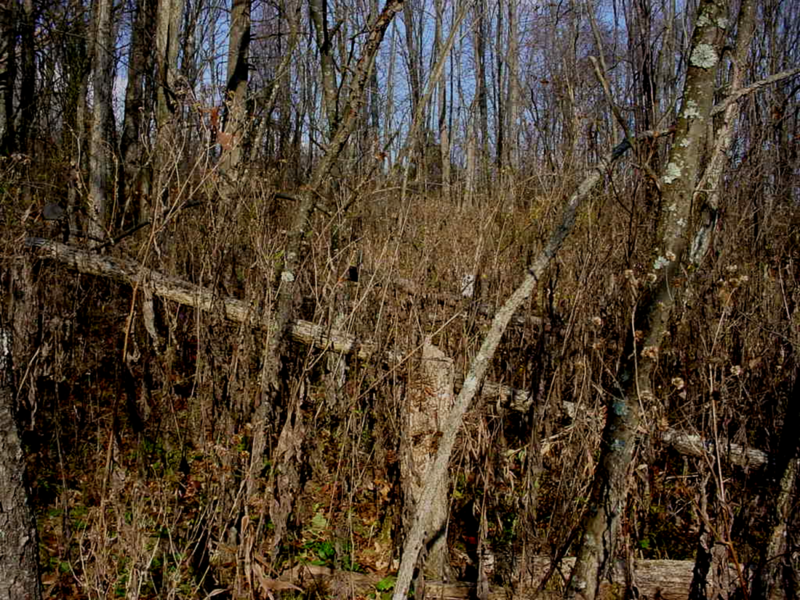 Increasing habitat edges can promote usage of the area by deer and other wildlife. The amount of edge created by a long narrow plot is much greater than a square plot with equal acreage. Also, wavy, uneven edges provide extra length and a more natural look than straight line edges. The distance from cover to the edge may be of concern for small species of wildlife. If the distance is too far, the smaller species may avoid the area because of possible exposure to predators. To help reduce this concern, placing food plots near plentiful cover is beneficial. Many larger game species of wildlife prefer to move along and inhabit woodland edges; however, these woodland edges may increase predation of small animals and cause relocation of some bird species. To prevent this, planting shrubs, vines and other low story vegetation adjacent to the plot creates a soft edge along the perimeter to encourage wildlife movement through those areas. Also, consider your usage of the area when designing your food plot. If the food plot is designed for hunting purposes, archers may find smaller narrow plots more suitable to reduce shot distances. The width of plots may be less important to firearm hunters. Some logging roads are great places for food plots if there is direct sun for at least four to six hours each day to provide adequate sunlight for plant growth. You may need to cut back the majority of the tall trees approximately 50 feet from the road, at least on one side of the road, to create adequate light. Placing the tops of these trees near game trails that cross the road may enhance the crossing spot, by providing additional cover. For smaller wildlife species, such as rabbits or game birds, placing food plots near wintertime escape cover is important. Logging roads that run east/west are ideal for seeding because of increased sunlight. Photo by Mark Landefeld, Ohio State University Extension. This picture shows habitat successional stage 4, a young woodland. Photo by Mark Landefeld, Ohio State University Extension. If the goal in managing your property is to attract and keep certain wildlife species on your land, providing the right habitat is critical. All wildlife need food, water and ample cover to thrive. You will be most successful by determining the most limiting, or prominent need, for a selected wildlife species, and then providing it. The first step is to determine the stage of habitat available on your property. The stage of habitat identifies food and cover resources available to wildlife. Once you have determined the stages of habitat on your property, you can evaluate the available habitat resources and plan for those that are limited. Sometimes, enhancing cover and natural food sources (food plots can also be considered habitat) can make more difference in attracting wildlife than installing food plots alone. 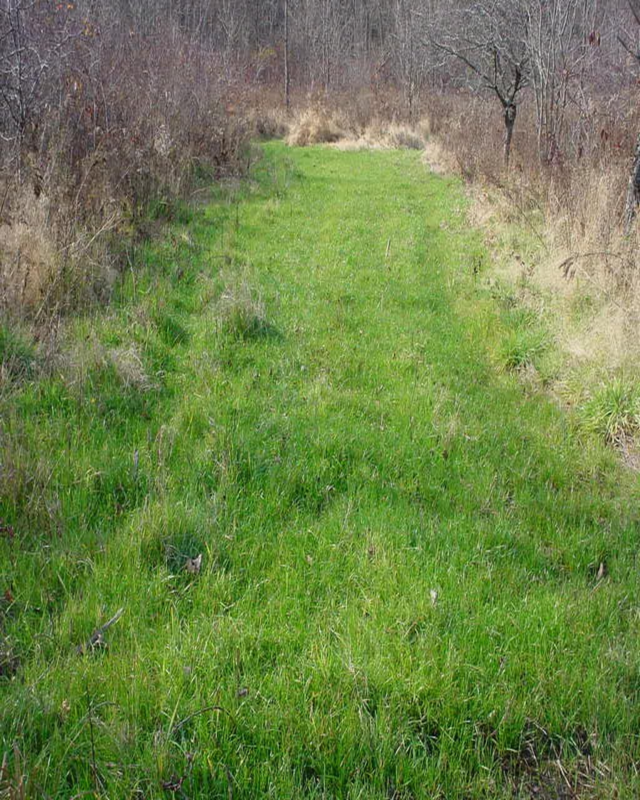 Single, small food plots have little impact on the overall food supply for wildlife, but creating thick, dense cover of brushy low growing shrubs or bushes, for example, may draw and keep white-tailed deer in a desired location. Wildlife biologists differ on amounts of “sanctuary,” or dense cover, areas for deer, but a minimum of 25 percent of your property area is usually recommended. Management will help create wildlife habitat. Photo by Clif Little, Ohio State University Extension. An example of thick, dense cover for deer is 3 to 5 acre blocks of dense vegetation consisting of bushes, trees, briars and other woody vegetation that limits visibility beyond 50-60 yards. These areas, where little to zero human activity occurs, will create a secure bedding area and attract white-tailed deer. Providing quality cover like this should be a top priority if nothing like this currently exists on your property. Again, more is better regarding available space, so establishing multiple dense-cover, or sanctuary, areas is preferred. If hunting is planned, strategically position food plots in relation to bedding areas to maximize success. Prevailing wind direction should be taken into account so the wind is not blowing from the hunter’s position directly to the bedding area. Normally, cross wind arrangements provide greater advantage for the hunter. Hedgerows also provide important cover and food resources for many species of wildlife. A hedgerow is typically a line of closely-spaced trees, shrubs, vines and herbaceous plants that provide both food and cover. These structures often form along old fence rows, but may also be constructed where needed. Hedgerows serve as great wind breaks for wildlife in open areas and provide cover for small animals. Hedgerows also serve as travel corridors providing concealed travel areas for wildlife. Increasing natural food production may be the most overlooked part of many landowners’ management plans. Raspberries, blackberries, apples, crabapples, nuts of all kinds, persimmons, elderberries, sumac, grapevines, dogwood, viburnum, and many other natural foods can provide enormous amounts of nutrition for wildlife if you manage them properly. Many of the above listed trees and shrubs can also be planted or encouraged in hedgerows and soft edges. American crabapple producing fruit. Photo by Clif Little, Ohio State University Extension. 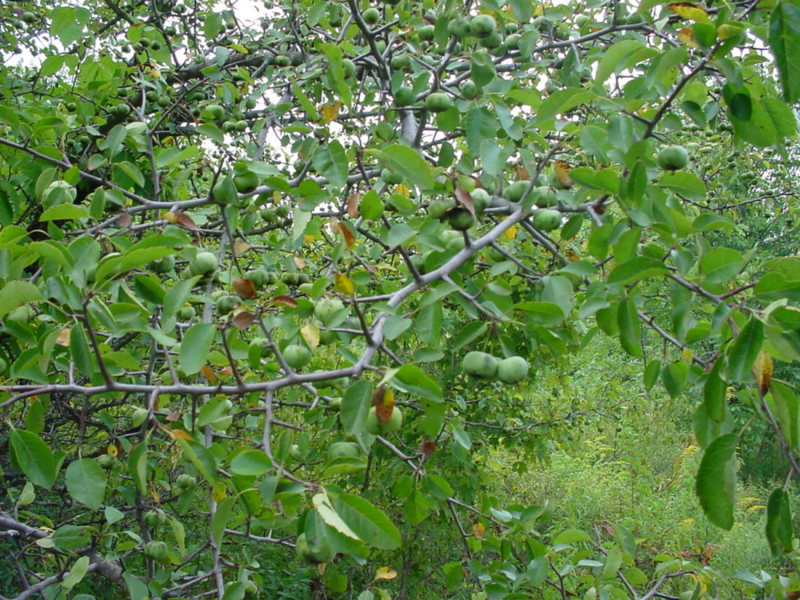 Within woodlands, a technique called Crop Tree Release can be used to enhance natural food sources for wildlife. A crop tree is one that a landowner wants to favor, or enhance, through the removal of less desirable trees around it. For example, an oak tree’s acorn production will increase as the tree’s crown size increases. To stimulate tree crown growth, a landowner can provide additional sunlight by cutting down, topping or girdling competitors that are overshadowing and reducing sunlight to the crop tree. Releasing crop trees to promote increased growth and food production should be part of a manager’s food enhancement plan. For more information on crop tree release, see OSU fact sheet “Enhancing Food (Mast) Production for Woodland Wildlife in Ohio.” For this fact sheet, and others on woodland and wildlife management, visit the Ohio Woodland Stewards website at woodlandstewards.osu.edu. Each species of wildlife requires a specific quantity and quality of nutrition to thrive in their environment. White-tailed deer, for example, will consume a mixture of grain, forbs (flowering plants), woody browse (leaves and twigs), fungi, grasses, and legumes in various quantities during different seasons of the year. This is necessary for quality antler production, maximum fawn conception, and winter survival. Because wildlife has such a diverse set of food requirements, providing something different, such as mast crops (acorns and other nuts), apples, fruits, berries or other foodstuff not available in your area, may be the best attractant. Remember, too, the length of growing season for each crop can vary greatly, so choose carefully to make crops available for wildlife consumption if you want them producing at a specific time of the season. Many wildlife biologists classify wildlife food into one of three food categories: primary, secondary, and starvation or filler. To be the most beneficial for wildlife, food plots should consist of primary food species such as clovers and other legumes, large or small grains or brassicas, etc. Primary foods are consumed by the animal when unlimited supplies of many food varieties exist. Secondary foods are eaten by the animal when preferred primary foods do not exist, but staple items are instead available and regularly consumed. Starvation/filler foods are eaten by the animal to keep from starving to death when primary and secondary foods do not exist in adequate quantities. On average, white-tailed deer consume food at a rate of 3 to 4 percent of their body weight each day, on a dry matter basis, which means measuring weight of food eaten without the water content. This amounts to more than 2000-3000 pounds of dry matter per year. To give you an idea of this quantity, an average acre of alfalfa in Ohio produce 6000-8000 pounds of hay during the growing season. The age of each deer and the season of the year also dictate the amount of food consumed. While supplying high quality forage year-round is needed to maximize growth potential of bucks and does, peak forage consumption occurs at different times during the year. Bucks tend to increase food consumption during antler development, while a doe consumes more feed during lactation. More information about this may be found by searching online for the Purdue University publication FNR-194 about food plots for white-tailed deer. For an adult deer to simply maintain body condition, a diet of foods containing 6 to 10 percent protein is required. However, for yearling growth and mature buck antler development, the minimum average should be16 percent protein. Adult female deer require a diet of 11 to 15 percent protein during late gestation, but her requirement for optimum milk production may increase to 22 to 24 percent. Fawns, after weaning, require 16 to 22 percent protein for maximum growth. Plants to include in food plots will be included in the second fact sheet in this series. While you often hear about protein content various plants can provide in food plots, high quantities of carbohydrates are also required in the deer diet. Individual requirements vary seasonally and by the animal’s life stage. Energy is needed to regulate body temperature, to promote growth activity, reproduction and body maintenance. While it is difficult to establish specific energy minimum requirements, mature does and adult bucks require about 25 kilocalories of digestible energy per day for each pound of body weight. This requirement can be higher at specific times, such as peak lactation for the doe or after the breeding season for bucks that have lost a lot of weight. To promote breeding success, does and bucks instinctively feed heavily on food with high carbohydrate levels before rutting activities begin to purposely build up fat reserves, a process called lipogenesis. Items such as acorns, corn and other grain crops provide high levels of carbohydrates that provide energy. Palatability of the food source(s) should also be considered when trying to provide nutrition for wildlife. Plants may be very high in protein, but if they do not taste good they may be consumed only as a last resort. Also, forage quality generally deteriorates as plants mature during their growing season so manipulation by clipping or bush-hogging grass and legume plants in a food plot at the proper time, before the plant completely matures, helps maintain vegetative, high quality, high protein foods for wildlife consumption. The next two fact sheets in this series will focus specifically on what and when to plant in the food plot, as well as the equipment needed to plant and care for your food plot. The third fact sheet identifies management strategies to care for the food plot for sustainability and environmental health.